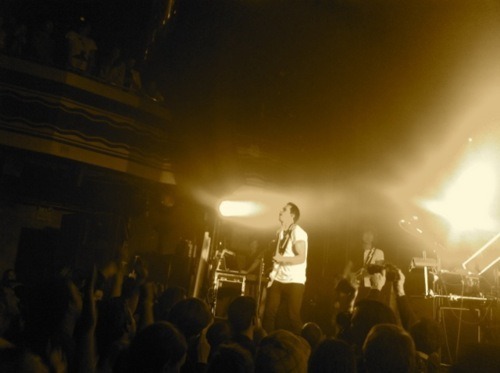 Top moments from M83‘s Webster Hall show in New York. • An adorable and grateful front man, Anthony Gonzalez, admitting to a case of the nerves playing in New York. • “Teen Angst’s” synthesizer torrent – setting the crowd off like a shot of firecrackers. • Anthony’s energy on “Reunion” evoking audience call and response, releasing hundreds of inner high schoolers. • Morgan Kibby’s voice on “We Own The Sky” is so phenomenal, we forgot Kate Bush released a new record just the day before. • Holy cosmic wonder of a light show (what galaxy is this?). • The drummer unleashing on “This Bright Flash” and “Steve McQueen”. 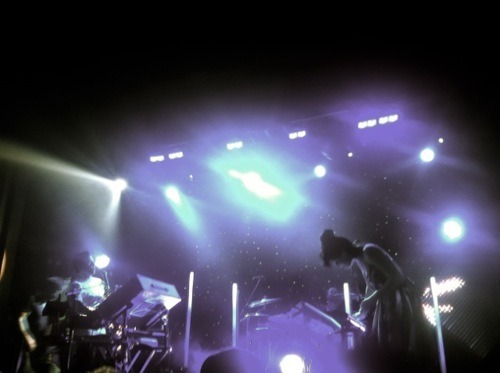 • Keyboard girl killing it on the drum pads during the “Midnight City” chorus. Redefines uninhibited. • Two words. Saxophone man. • “Couleurs” = an eight minute, chaotic bliss of a dance party encore. • The bass player channeling Animal from the Muppets. • Feeling like the walls were crashing into the floor multiple times. • Disbelief the venue is still standing the next day. M83 brings their epic live show to the Nokia Theater in Los Angeles on January 13, 2012.